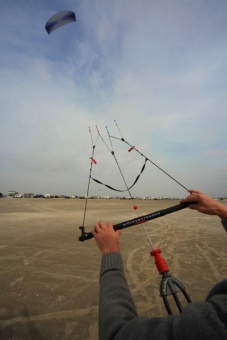 Metropolis Drachen | Wolkenstürmer Quadbar | Buy online now! The handling of the kite similar as at a depower kite with fixed bridle and controlled brake bridle. 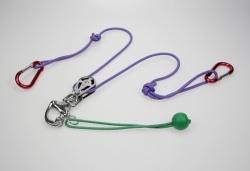 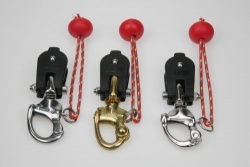 To exchange from handles to the bar you only need to attach the four steering lines to the bar and the chickenloop with inculded safety system of the bar must be connected to a harness. 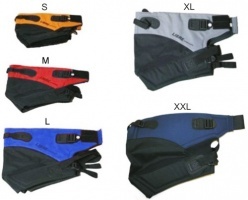 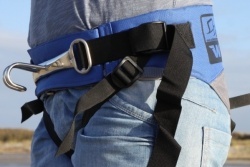 Wether you are only power kiting or if you are using a mountain board, skiers or a kite buggy: If you want to hold the traction of your kite over a long time period the Wolkenstürmer harness is a useful helper.